Oregon’s fisheries and the pacific northwest in general are well-known for their top-notch seafood. It makes sense, then, that restaurants across the state would vie for the best crab offerings around. While any number of spots could have made it onto this list, we’ve narrowed it down to 10 of our favorites. Whether you’re a home cook or can’t wait for home-style cooking, you’ll find something to love below. 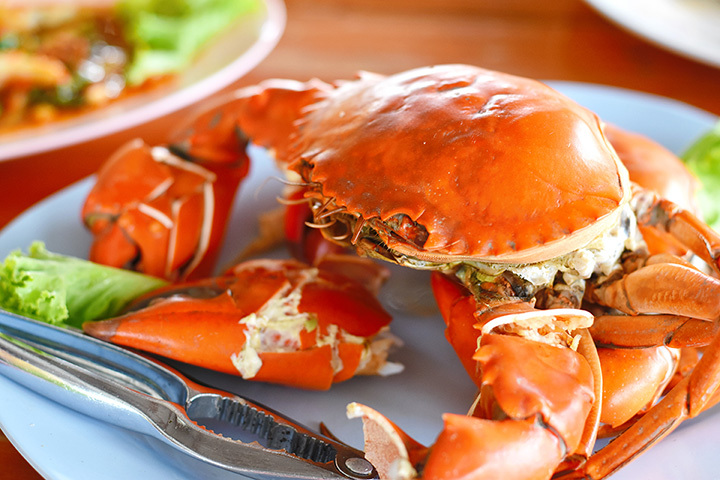 Tony’s Crab Shack has been serving delicious, pacific northwestern crab since 1989 as a staple in their award-winning menu. They’re located right on the World Famous Bandon Boardwalk and get their ingredients directly from the ocean. Local Ocean in Newport, Oregon aims to give people “the best seafood experience of their lives,” according to their mission statement. They’ve been in business for over a decade and serve some of the very best Oregon wild seafood. If you’re in the mood to cook up your own Oregon crab, then consider stopping into Bell Buoy of Seaside. This family-owned seafood specialty store has been providing home cooks with the freshest seafood possible for over half a century. Get your fish canned or fresh. Kyllo’s at the Beach in Lincoln City, Oregon is open every day of the week and serves fantastic burgers, tacos, pasta, seafood, and steaks. But the big draw has to be their seasonal Dungeness crab cakes, served with hazelnut salad, whipped potatoes and red bell pepper sauce. The Waterfront Depot Restaurant brings delicious, fresh seafood to Florence, Oregon. They have monthly specials in addition to their crab dishes, like Dungeness crab Caesar salad, crab encrusted Alaskan halibut and more. Big Wave Café in Manzanita, Oregon’s purpose is “to provide our customers with a taste of the Oregon Coast through the foods we serve,” according to their website. Their daily specials often include fresh Dungeness crab and their entrée-sized crab cakes are always worth ordering. Located on the Oregon Coast, Silver Salmon Grille offers a cozy environment in which to enjoy fantastic seafood. Their bleu cheese and Dungeness crab halibut and Dungeness crab and provolone cakes offer a mouthwatering way to get your crab fix. Luna Sea Fish House serves breakfast, lunch, and dinner. Locally owned and operated, they only serve the freshest of seafood and sell it in their fish market. Try their crab cocktail if you want to taste heaven. South Beach Fish Market offers fresh seafood products for home cooks to take back, and the South Beach Fish Market Restaurant allows you to eat it right there. Crab lovers give the crab burger a shot or the crab cocktail. The Portside Restaurant has been in business under one name or another since the 1960s. Situated along the Oregon coast, The Portside Restaurant sells deep-fried crab legs for an appetizer or entrée, crab bisque, and much more. Eat in a serene atmosphere at the Portside.